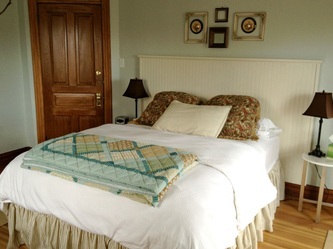 •Please note that we do not reserve Sunday check-ins. 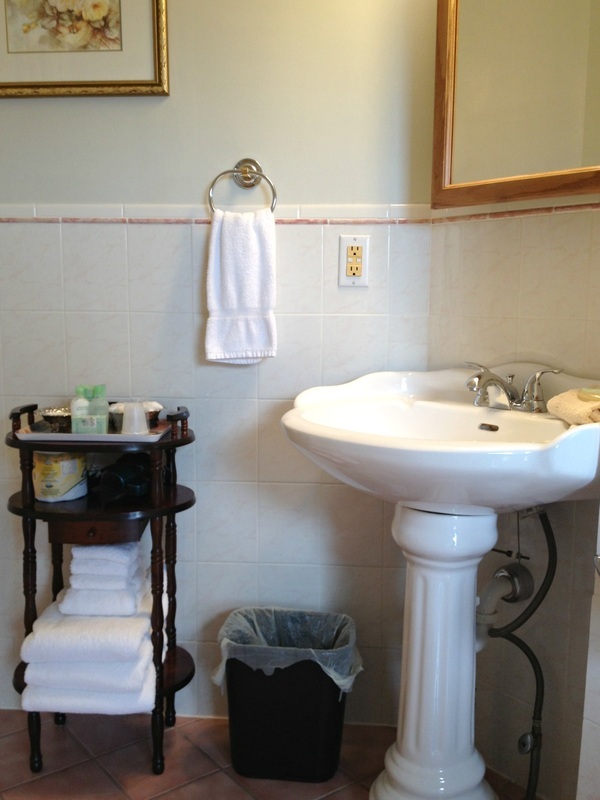 •Check-in is between 3pm and 6pm. 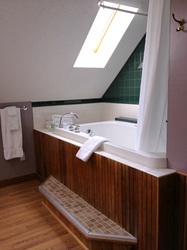 Want to make your stay extra special? 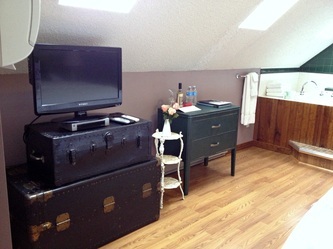 Add one of our packages to your stay. "Garden View" is spacious and elegant. It offers a great view of the island shade garden. 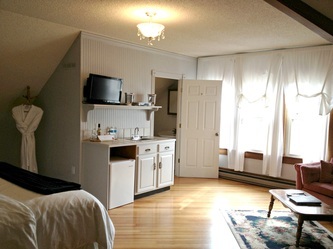 Features include a King feather bed, kitchenette, a table for two, and a bathroom with a steam shower. 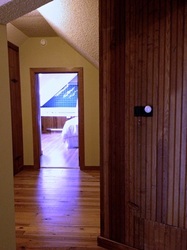 "The Nest" is a cozy room nestled in the trees with a great view of the stream and patio below. 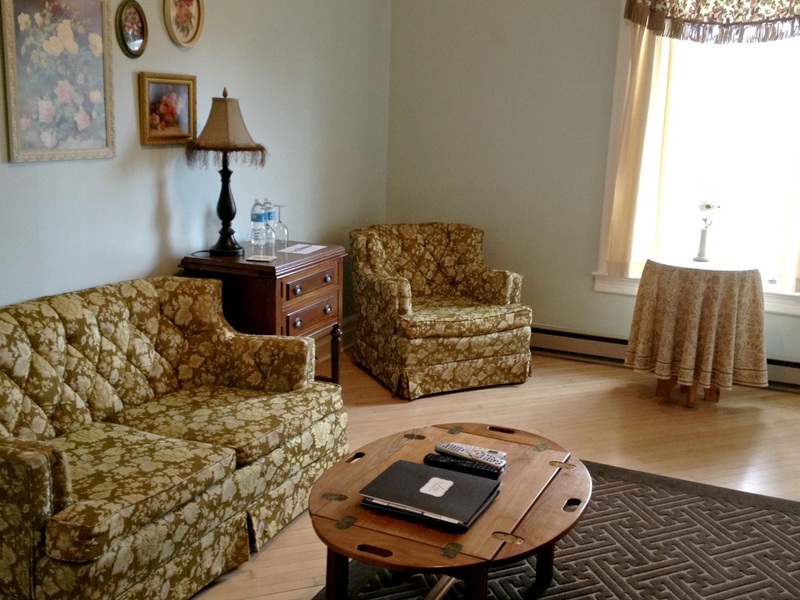 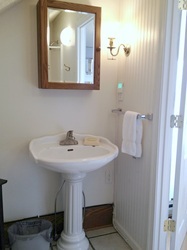 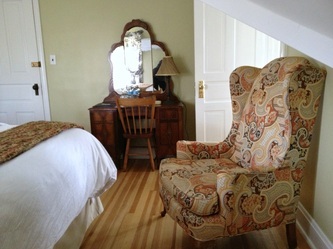 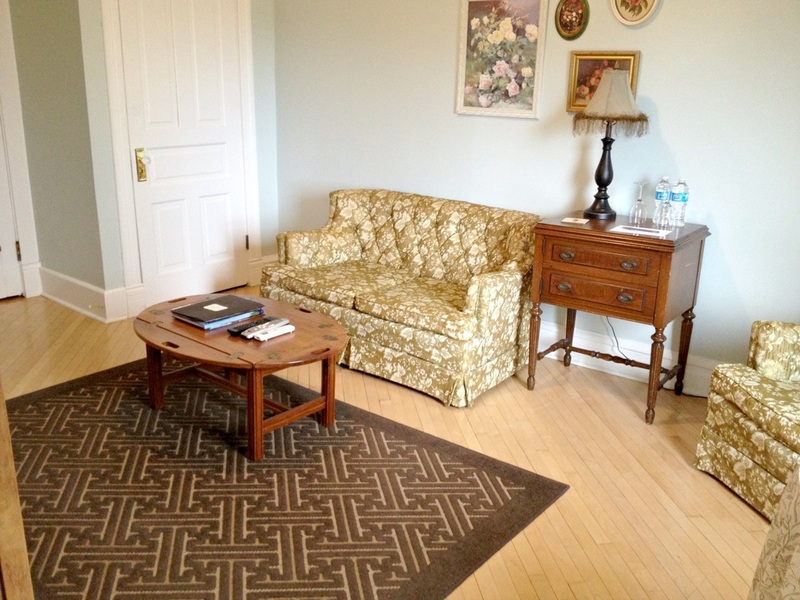 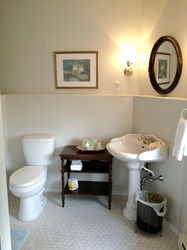 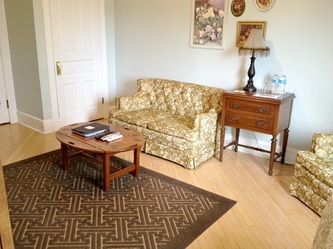 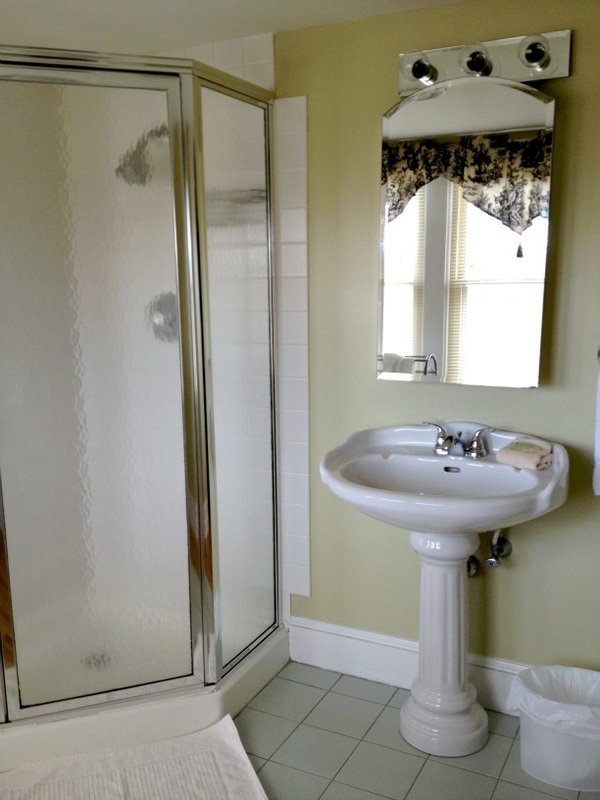 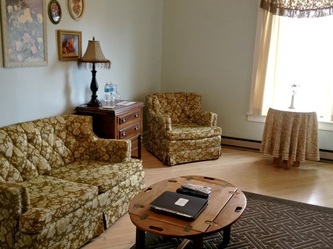 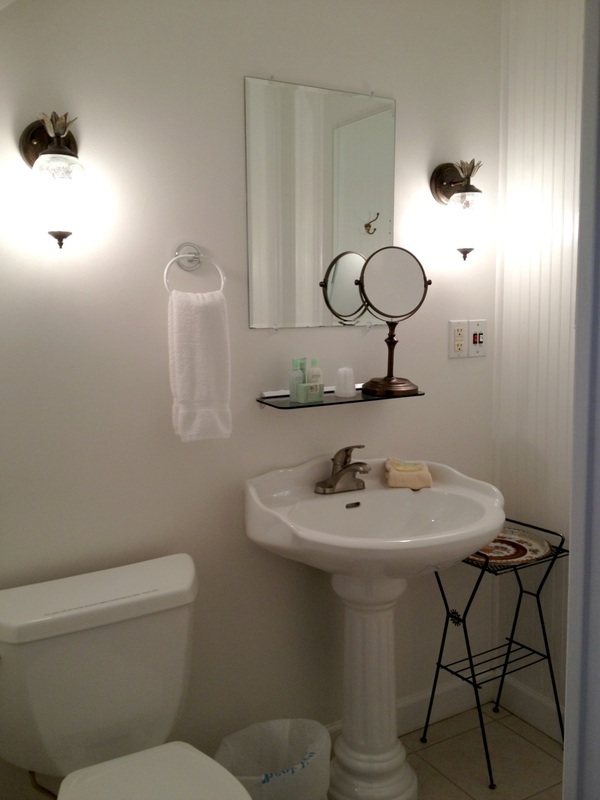 Features include a sitting area with love seat, Queen bed, and a large bathroom with whirlpool tub and shower. "Hearthside" is a romantic and spacious room with natural tones, making it perfect for a peaceful retreat. 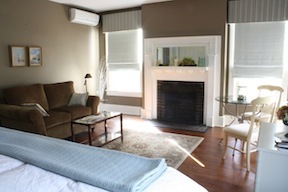 Snuggle in and enjoy the luxurious King feather bed, sitting area with love seat, and, of course, a fireplace. The bathroom has a Whirlpool tub with shower. 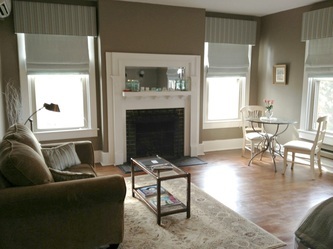 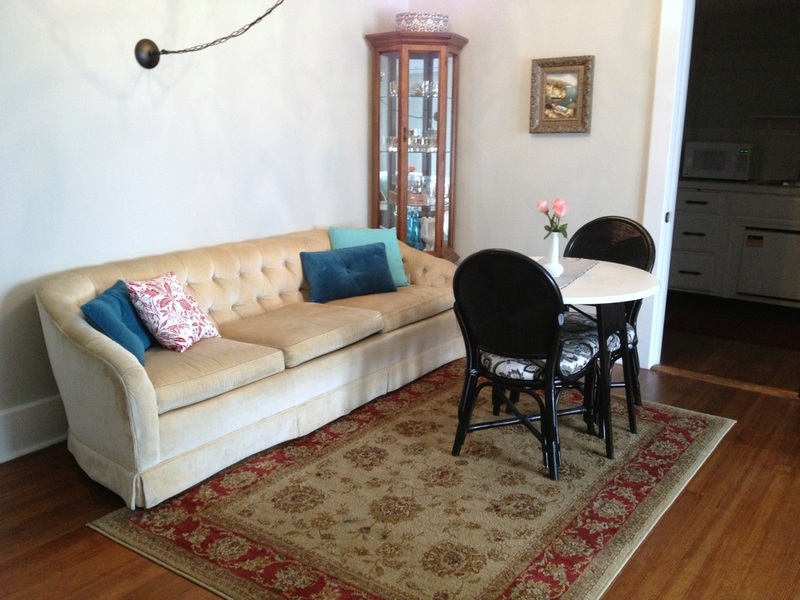 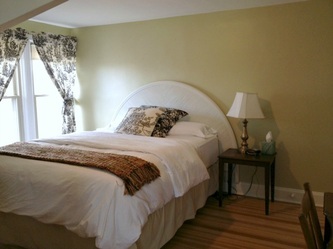 Named after the original owner, "The Kennedy Room" has a classic and airy feel. 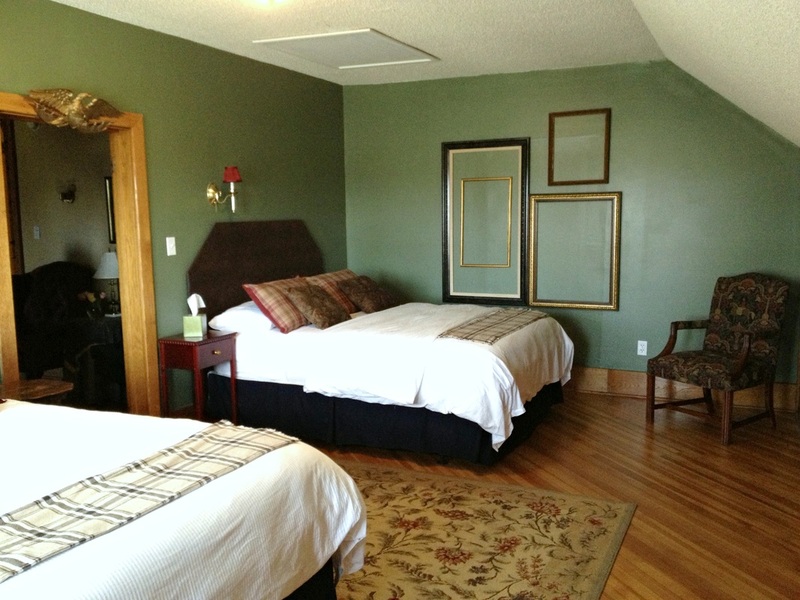 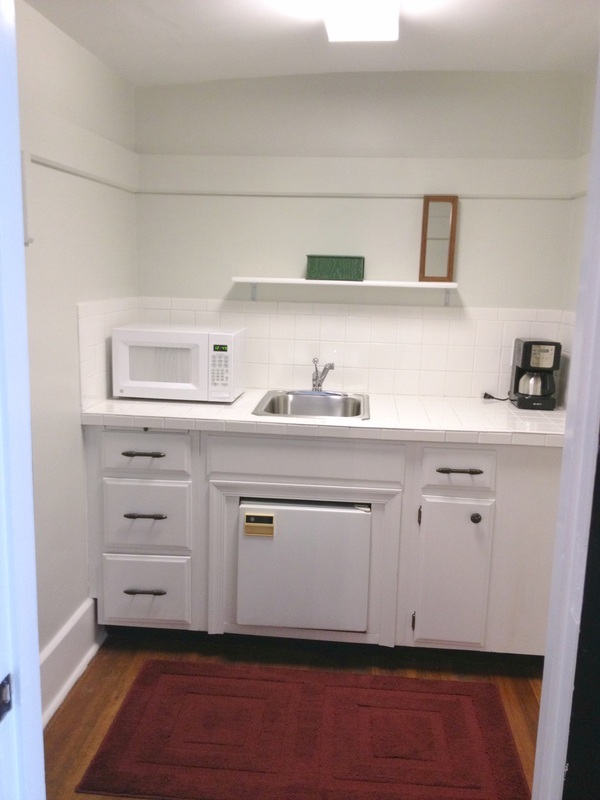 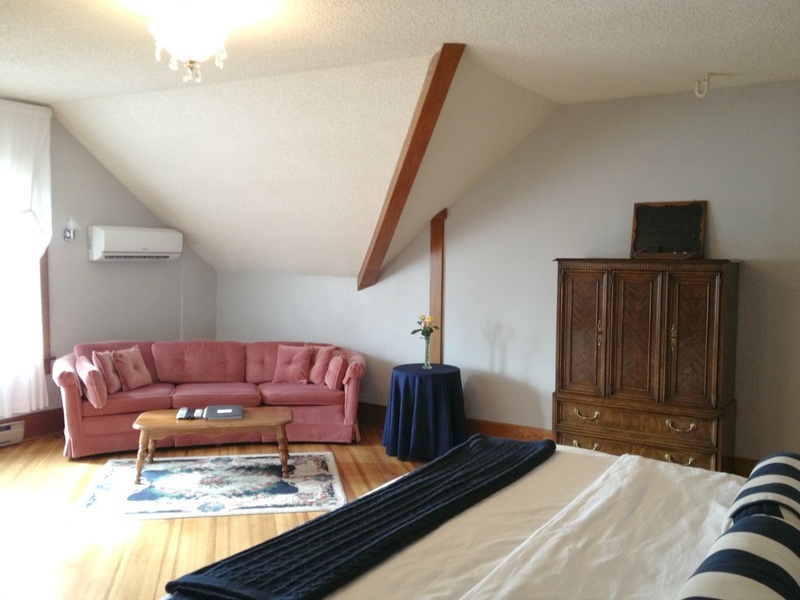 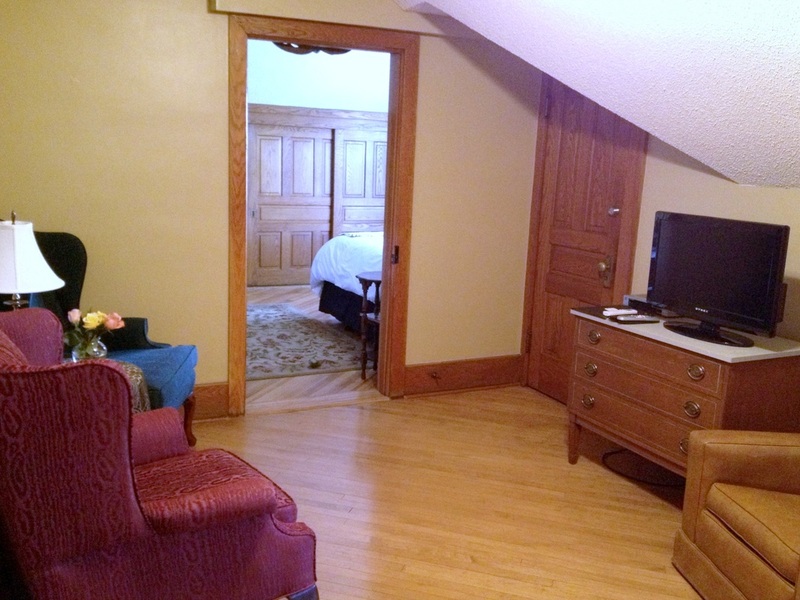 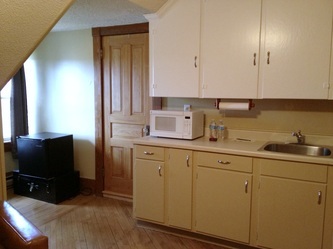 This spacious room has a King bed, sitting area, a kitchenette, and a bathroom with shower. 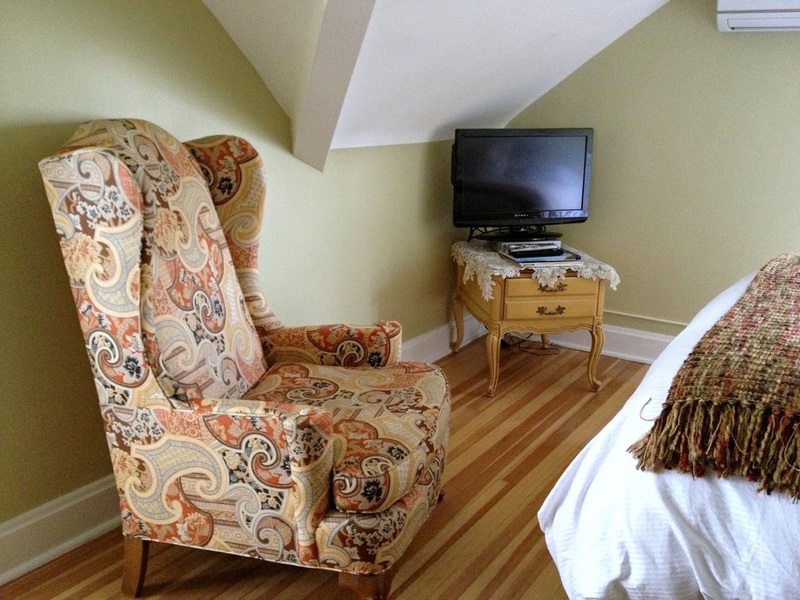 Enjoy the view of the sunset in the charming "Sunset Suite". This cozy room offers a Queen feather bed and a separate sitting room with sofa, TV, and a fireplace. 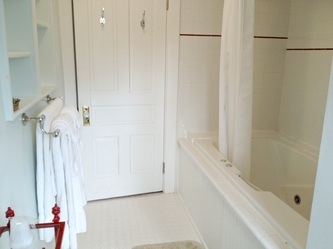 The bathroom has a shower with tub. Perfect for a night of romance, "The Honeymoon Suite" is located in the most private area of the house. 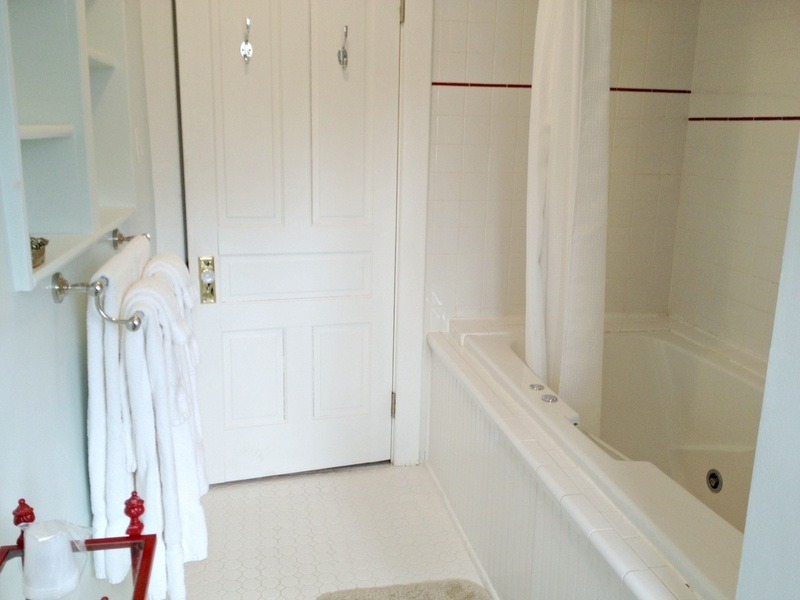 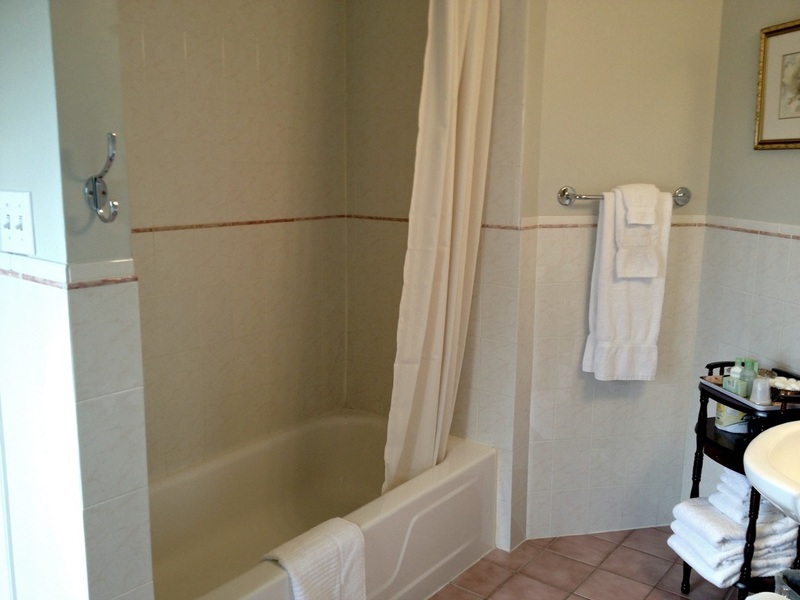 It is spacious with a King bed and large Jacuzzi tub with shower. 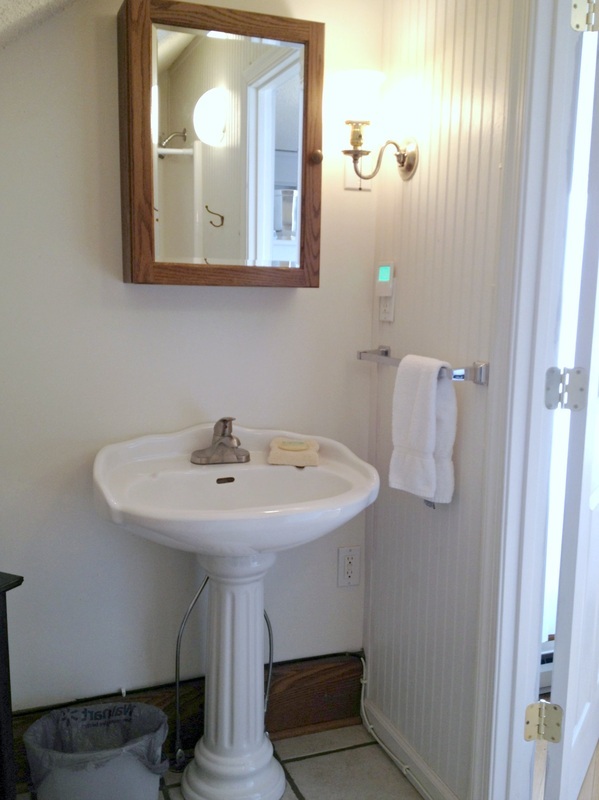 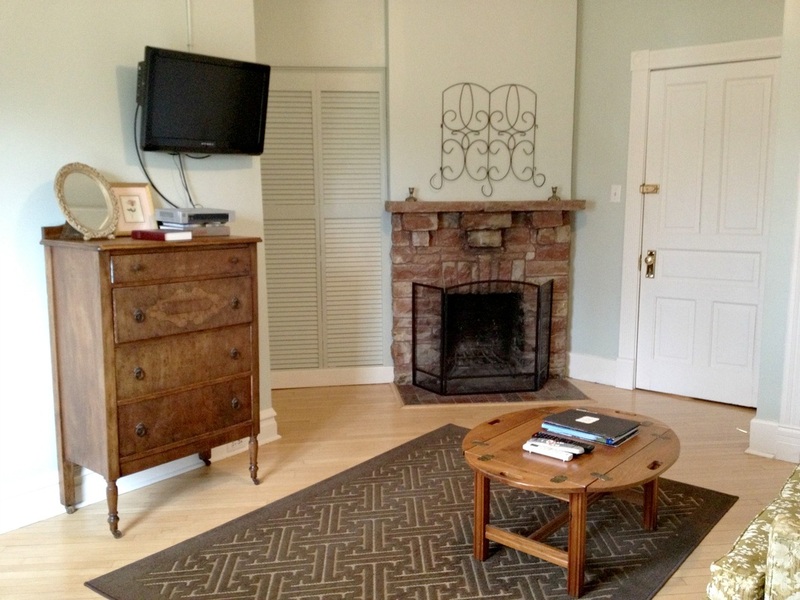 "The Lodge" is a 2-bed suite with a sitting area, kitchenette, and a bathroom with shower. 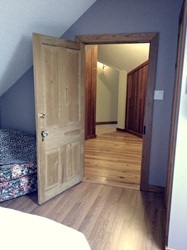 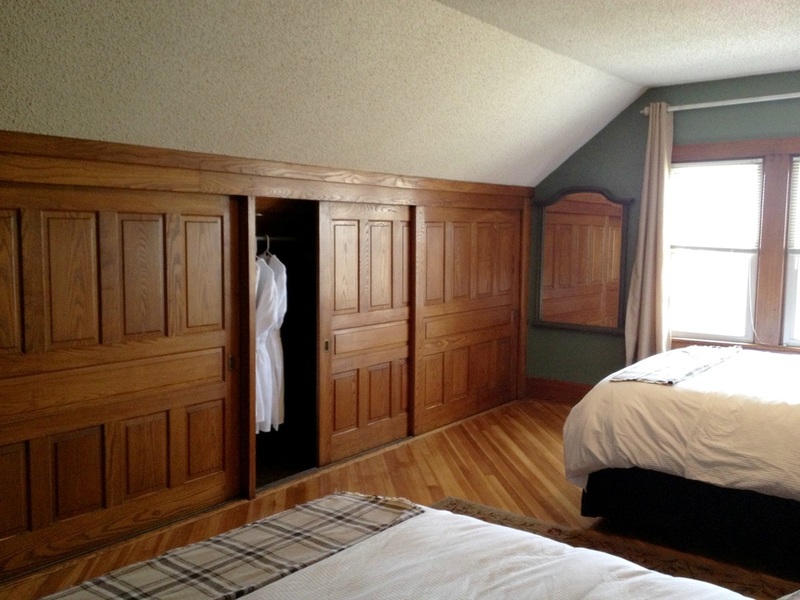 It has 2 Queen beds that face a unique wall of closet space with large wooden doors. This room will sleep 4 people (price is based on double-occupancy, but you may add up to 2 extra guests for $30 per person per night). 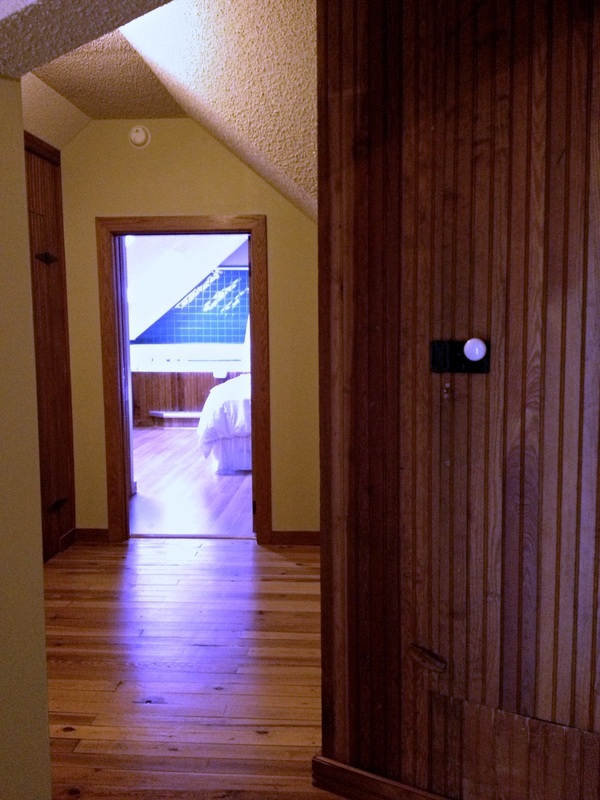 which represents our love of golf. 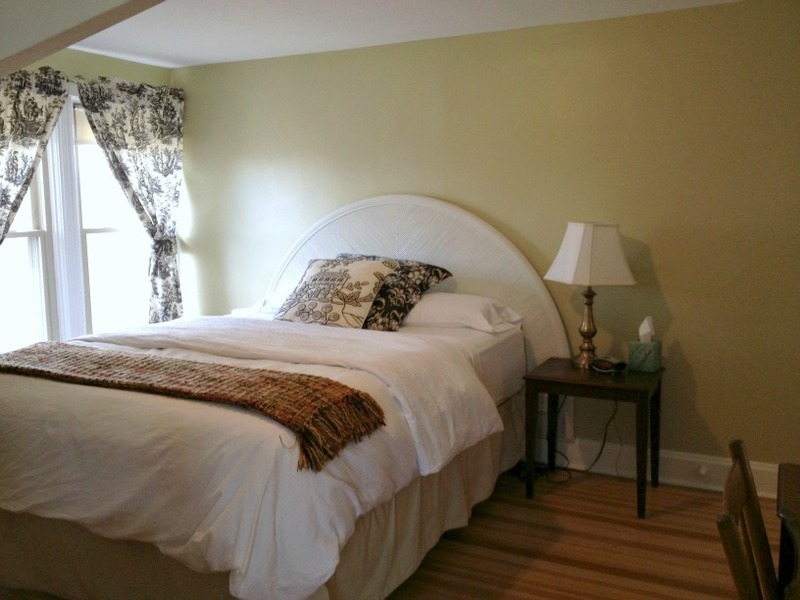 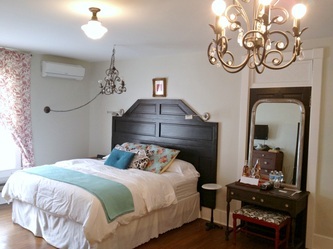 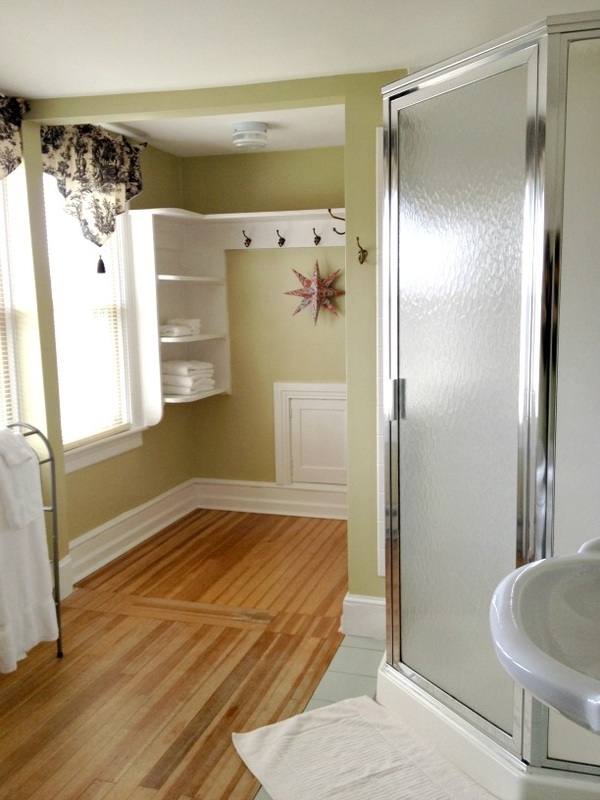 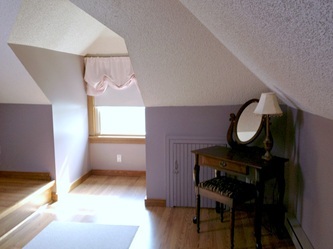 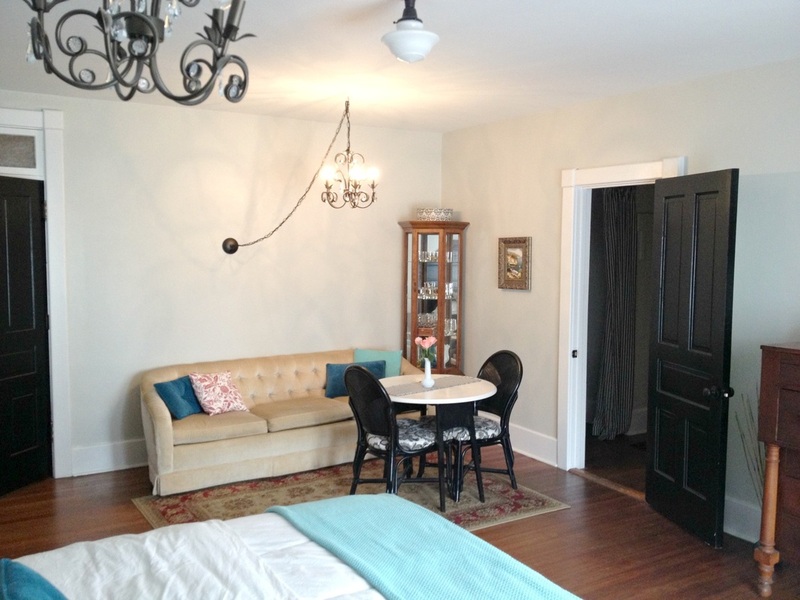 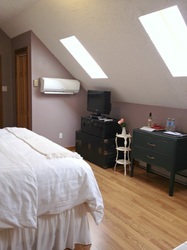 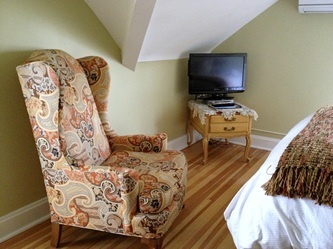 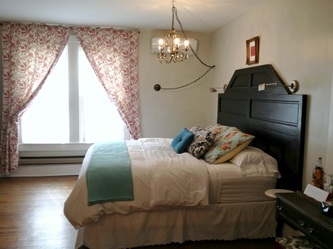 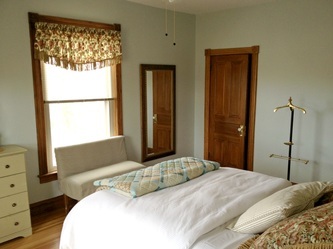 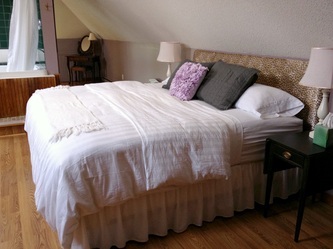 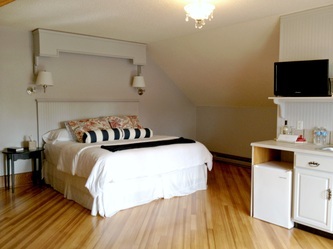 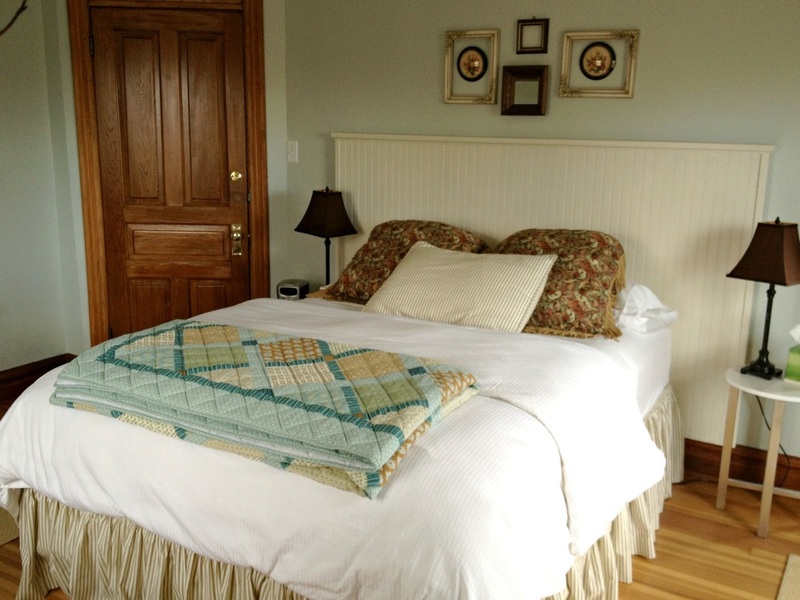 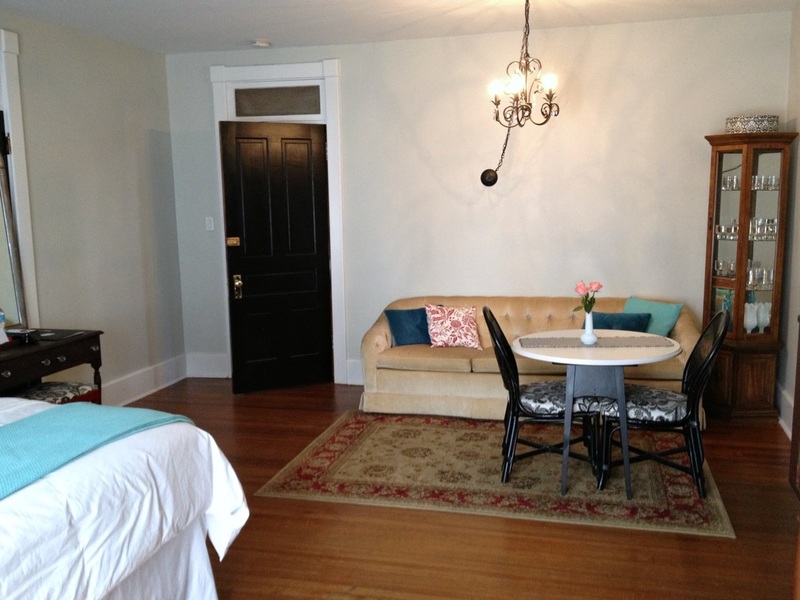 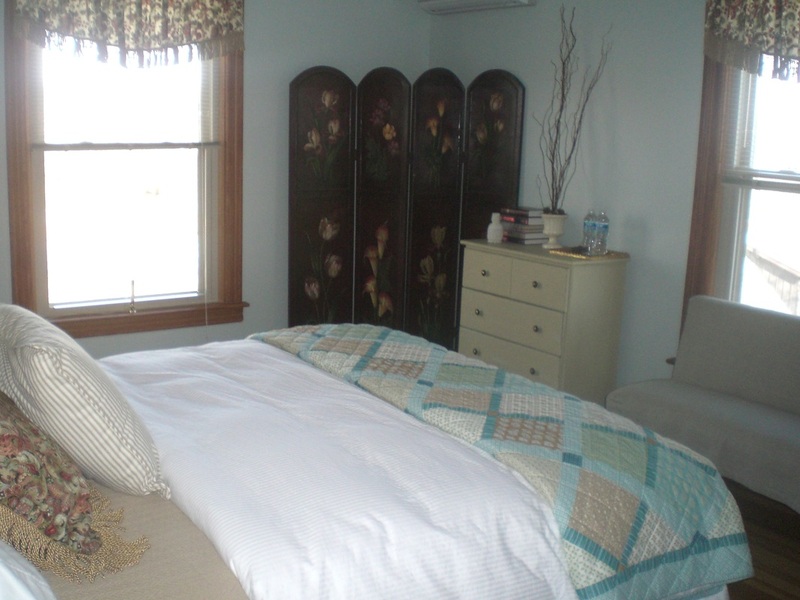 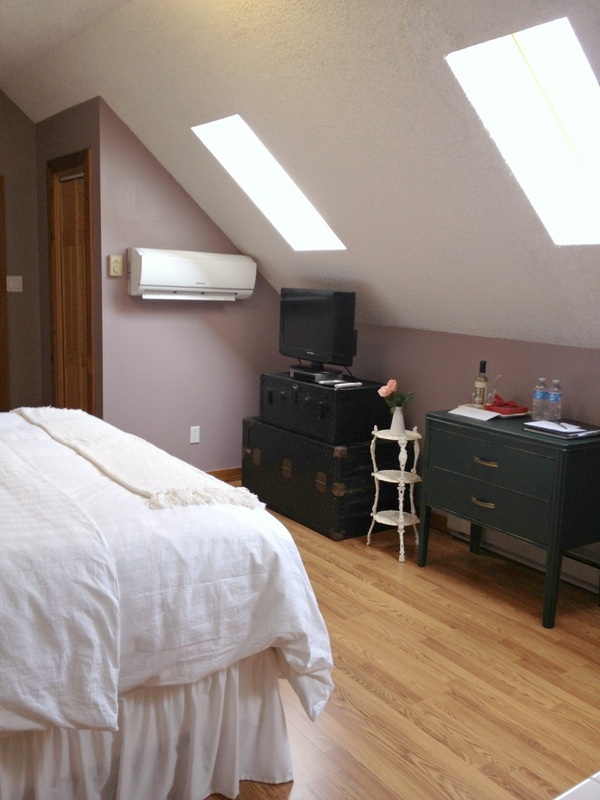 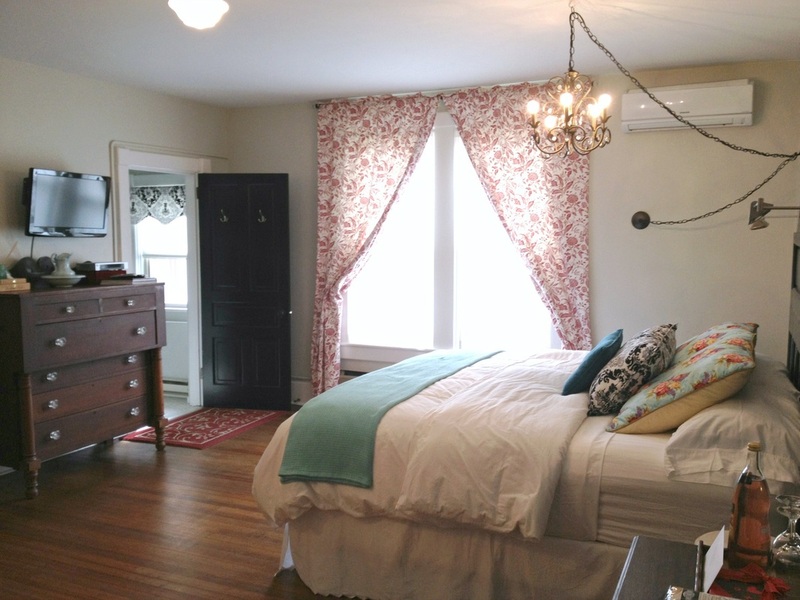 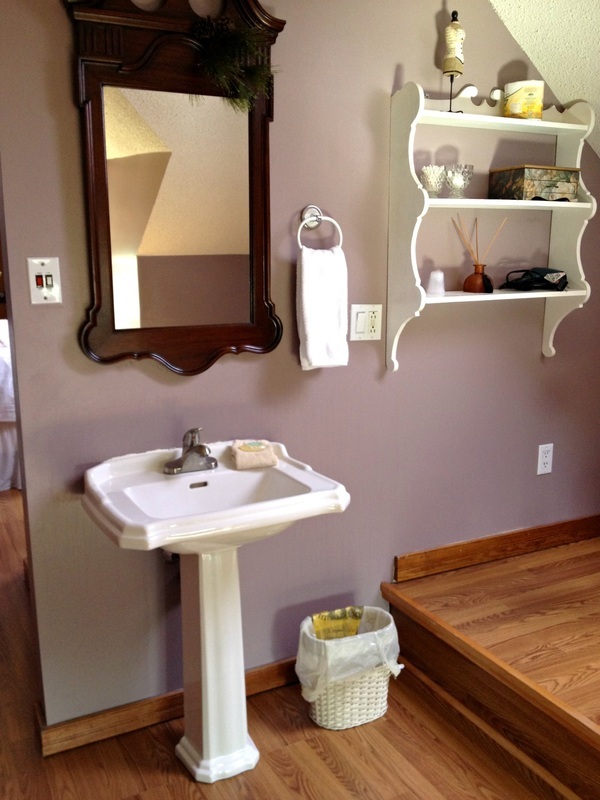 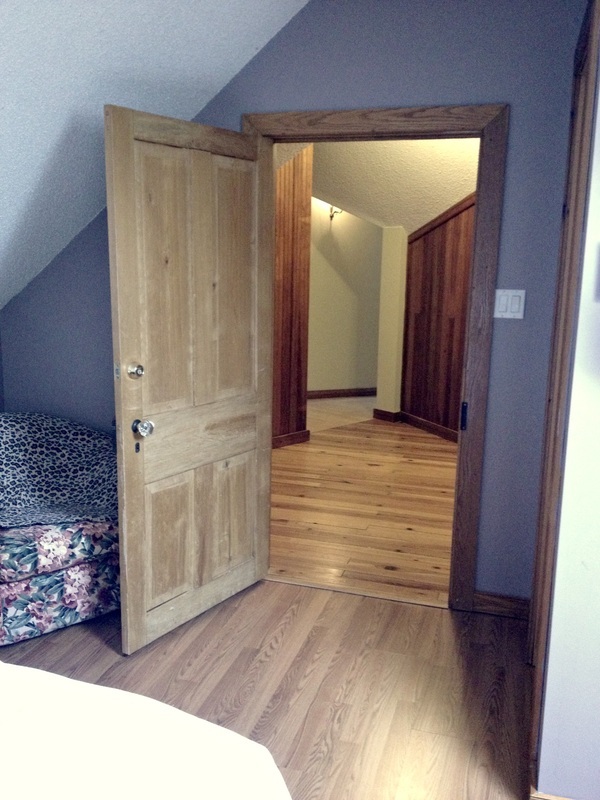 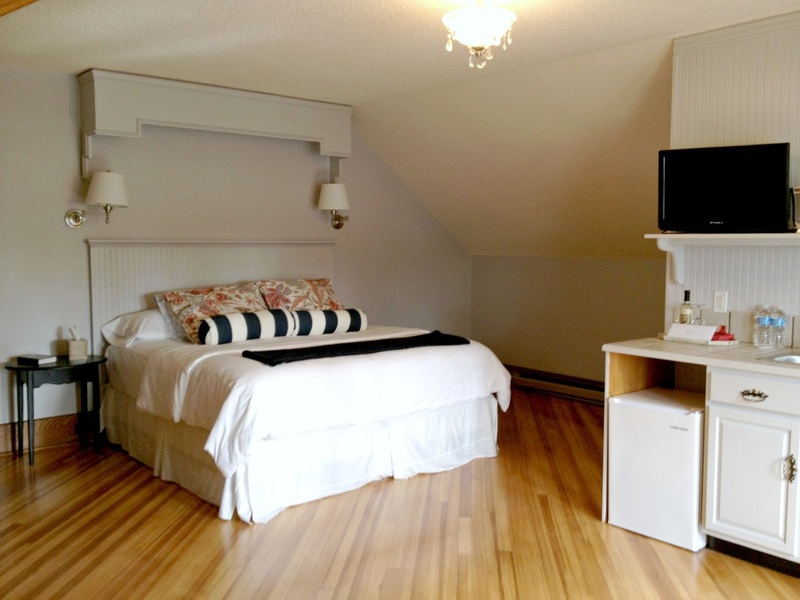 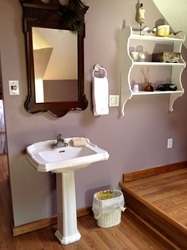 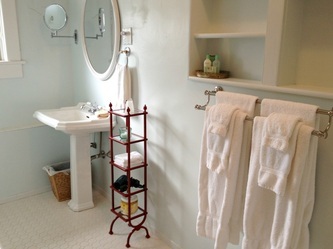 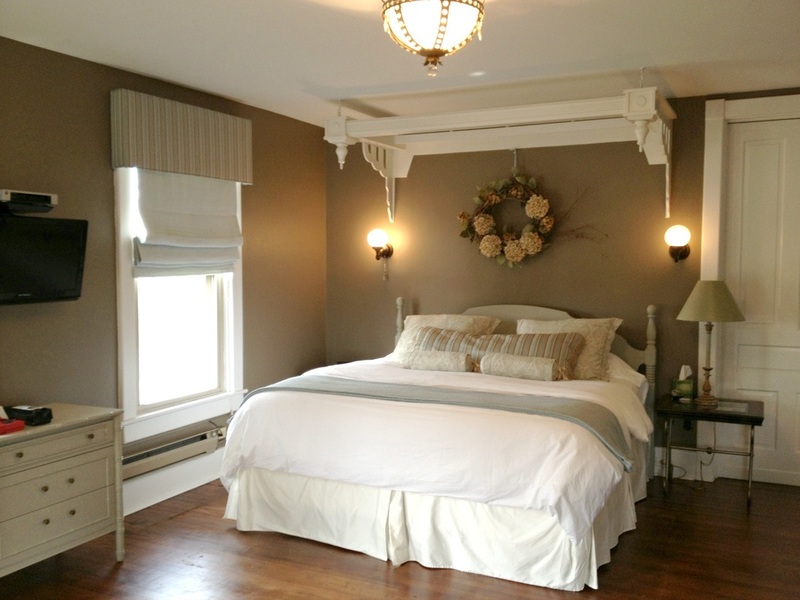 "Azalea" is a charming bungalow room that has a Queen bed and a roomy bathroom with a shower. Outside of the room there is access to a wet bar. Bright and cheerful describes "Rae's Creek". 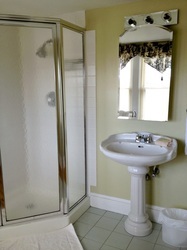 It has a Full bed, large bathroom with whirlpool tub and shower. Outside of this room there is access to a wet bar.